If you have a project you feel would be a good match for Bakkum Noelke, do not hesitate to contact us. We bring a more attentive and dedicated approach to structural engineering, making each individual project a success. Bakkum Noelke Consulting Structural Engineers, Inc.
CLICK HERE to see the full list of extensive experience Bakkum Noelke has. © 2018 Bakkum Noelke, Phoenix, AZ. 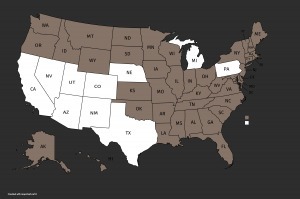 States in white are states we are licensed to operate in.